Are you looking to buy a paddleboard that offers you the option of easy of surfing? Well, then you need to expand your thinking and look for a board beyond the basic model. The product to be featured in this review, the Gold Coast ANIMA paddleboard is one of the best SUP (standup paddleboard) for surfing. Read along to find out why this model is the best SUP for surfing. What to Look for in a SUP for Surfing? A good SUP for surfing is one that can ride the waves without tipping. The basic paddle boards would not be able to catch the waves and can tip off easily. Hence, choosing one that is specifically designed to offer standup surfing is the ideal option. There are a lot of features you need to check out when choosing the SUP for surfing. The suitable stand up paddle boards for surfing are ones that are at least 10 feet long and has a width of about 31 or 32 inches. These boards offer great stability for the riders. 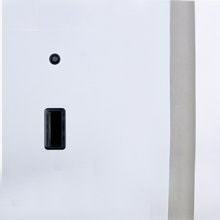 The quality of construction of the boards must be top class. It should be made using reliable and heavy materials that are lightweight, durable, and can work best on small waves. 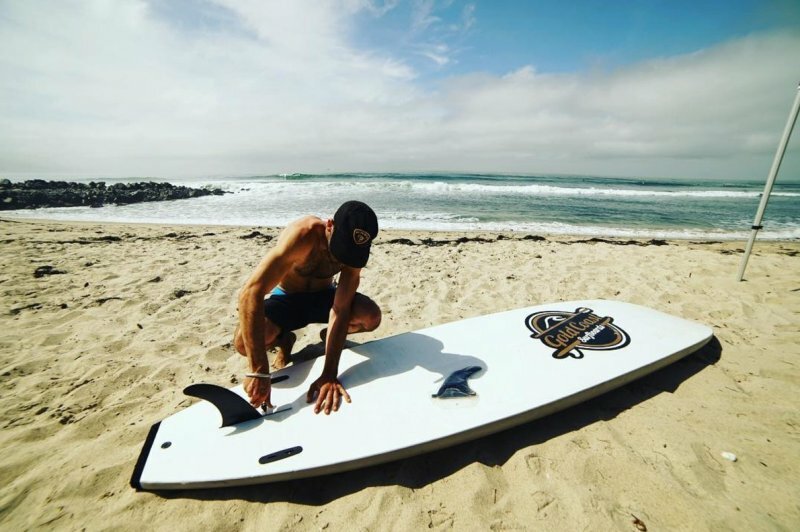 Taking all this into consideration, there is no doubt that the Gold Coast ANIMA paddleboard is a perfect paddle board for surfing thanks to its large stable construction, and family friendly. All that makes paddle surfing a breeze. The 10’4” ANIMA standup paddleboard is an ideal option for the novice to intermediate level standup paddling enthusiasts. It is of 10 feet and 4 inch in length, 32 inch width, with a board thickness of 5” makes it the best sup for surfing for first-time surfers. It can offer full control of the board while surfing. Apart from this, this Gold Coast SUP paddleboard is perfect for kids, teens, SUP Yoga enthusiasts, water explorers and also for fishing enthusiasts. As it has a very solid and durable construction with decent sizes, this paddleboard can carry up to 300 pounds with ease. So, even well-built paddlers can surf on these boards. This is the best sup board that helps you stay in the water for long and to enjoy the waters more. Gold Coast ANIMA SUP is designed to carry a load up to 275 to 300 lbs. 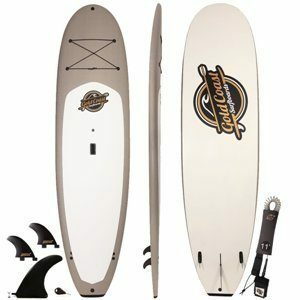 This makes it the perfect board for couple surfing, or parent and child surfing or even surfing with your dog a breeze. The Gold Coast ANIMA paddleboard is the best paddle board for anyone looking for an entry-level or intermediate paddle. It is loaded with a host of features that makes it a very functional paddleboard. The main feature of this paddleboard is that it comes with high-quality and durable soft foam pad on the top. This makes it a comfortable and easy to stand top for novice SUP users. They will get a comfortable and solid grip while addling and their feet and legs will not get tired even if they paddle for an hour. The pad is made using EVA grip and hence is suited for beginners. It also offers greater control of the board while surfing. The nose of the top deck has bungee straps that are connected to a set of D rings made of stainless steel. These straps are very useful to store and to transport your fishing gear, your footwear, and other things you would like to take with you when you hit the waters. This way you enjoy hands-free paddling and cruising on the SUP. This makes it an ideal inflatable sup for long tours. It comes with an inbuilt carrying handle that makes the transportation of this SUP easy and fun. You can easily get it in or out of the water by grabbing the central handle. Moreover, the SUP is an inflatable one and hence the handle becomes very useful to carry it out of the water. We personally liked and were pleased with the triple-fin navigation system offered on this SUP. There is one central fin and other two smaller lateral fins that are fixed. These fins offer great balance and stability to the board when it runs on the water. 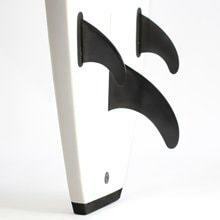 You get better control of the SUP because of these fins and also enjoy solid tracking. This is why it is one of the top rated inflatable paddle boards. Comes with a strong and sleek design that makes it easy to use for first timers as well as advanced paddlers. 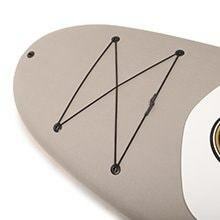 The three-fin navigation system helps in better stability, control, and greater tracking of the board. It comes with a single layer, drop stitch core that makes it very strong and sturdy. This SUP is extra wide and also offers extra stability. It can carry loads up to 300 pounds. It is inflatable and hence transporting the SUP is breeze. 30 days risk free return policy. The soft top might not withstand the use of large adult dogs. The standup paddle boards and surfing is gaining more popularity nowadays. It is a new way to enjoy water surfing. The modern-day SUPs are designed in such a way that they can be used on different types of waters like lakes, oceans, rivers, ponds, etc. Also, you can do a wide range of activities on-board the SUP like fishing, touring, yoga, and of course surfing. Alternatively, you can check out our article on the best body boards, which is quite fun too for surfing. The standup paddleboard surfing is more or less like the regular surfing. Here, you will carry out the act of surfing using a SUP rather than the surfboard. You need to ride the paddleboard to get at the waves. Once you get to the waves that you want, catch the wave and then ride the paddleboard on to the shore. Using an inflatable paddle board for surfing is ideal as it offers easy and quick transportation. Click here if you are looking for other alternatives. The best thing about the beginner sup surfing boards is that it allows you to stand upright on the board. This gives you a great advantage of a better view of the water in front of you. As you are getting a higher view, you will be able to adapt better to the approaching waves. You can easily catch the best waves and also use the best waves to have a wonderful surfing experience. When you are paddle boarding, almost all the muscles of your body get a workout. As you need to have the perfect balance, the legs also get the work out to offer the best center of gravity, hence you will also need to have some knowledge of foot positioning techniques. The shoulders, arms, and the back are used to propel the board forward. The use of the legs is limited while surfing. It allows you to get at the best waves than the regular surfing. You get to catch the smaller waves more easily than when you use the regular sized or longer surfing board. 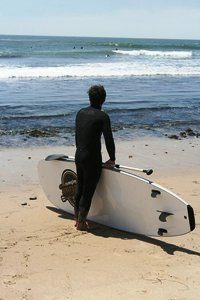 The best beginner surf SUP also allows you to experience big and exciting waves that people who surf enjoy. The broad and the long base allow the SUPS to catch the smaller waves. You get to enjoy longer outings on the water. As you can see from here and the ANIMA 10’4 stand up paddle board reviews offered on the internet, this soft top paddle is an ideal option for all the novice and amateur standup paddlers. 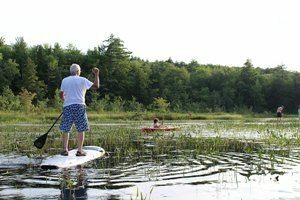 This SUP offers a smooth and safe ride for first timers and the deck is so wide and strong that it allows you to practice yoga poses in the waters. This SUP will help you to learn the art of standing paddle surf easily and you get to enjoy great fun time on the waters. There is no doubt that Gold Coast ANIMA is the best SUP for surfing and there we would rate this model 4.5 out of 5 stars.